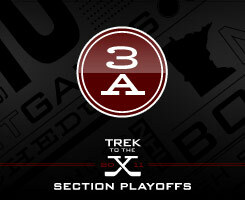 Seedings for Section 3A were announced on Wednesday, Feb. 16. New Ulm snagged the top seed as Hutchinson pounced on the second seed. Seeds 7-10 faceoff in opening round action on Tuesday, Feb. 22, with the winners adancing to play No. 1 New Ulm and No. 2 Hutchinson. See the bracket below for the all of the Section 3A matchups.